Hello, We are calling upon direct advertisers that are looking to expand their reach and improve their ROI to get in touch for quality traffic that are tailored to targeted users based on advertisers specifications. We work with Forex, Binary, Casino, Games among many other verticals on a CPL basis. Do you have traffic for GCC or UK for Forex Campaigns? Get in touch today, and match your traffic with top notch, converting Forex campaign. Converting Funnels/Landing Pages, On-Time Payments, Competitive Payouts, and More. Do you have quality traffic for Desktop Games, and Forex Campaigns on CPL basis? We are looking to partner with you, with exclusive offers in these verticals, complemented with uneatable payouts; you are sure to get the best of your traffic. Facebook Traffic Available for Direct Advertisers. We have facebook traffic and we can help you as an advertiser match it with your offer. You don't have to worry about your campaigns, we do everything; you just see results. Hello, are you a direct advertiser looking to buy traffic for your campaigns across specific geos with potential ROI? We are an agency, that works together to strategise, plan and optimize your campaigns, to get the desired results. Our traffic have been tested and trusted, we can give you references; they will tell you what we have achieved for them. And we can do that for you too. We work on CPI, CPL, CPA, CPM, for bot mobile and desktop campaigns. We look forward to having you on board of our range of advertisers. Hello, we have direct offers and in search of mobile traffic for them across all geos. Mobile Content, Subscription, Sweeps, Installs with good payouts. 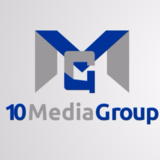 10MediaGroup is an Affiliate Network that specializes in promoting advertisers campaigns through strategic means of affiliation across board to targeted audience. We are looking for an affiliate manager, that is poised towards bringing new publishers across board and developing a relationship with them. Your work will be to focus on maximizing growth and marketing campaigns on an international marketplace.